Our Kickstarter & Indiegogo campaigns were huge successes. If you couldn't get in, you've still got a shot. I am now taking orders for our next production run, and you won’t be charged until your order ships! Ice Made Clear. Amazing Clarity, Stunningly Simple. Enjoy and Impress with glass-clear ice at home. 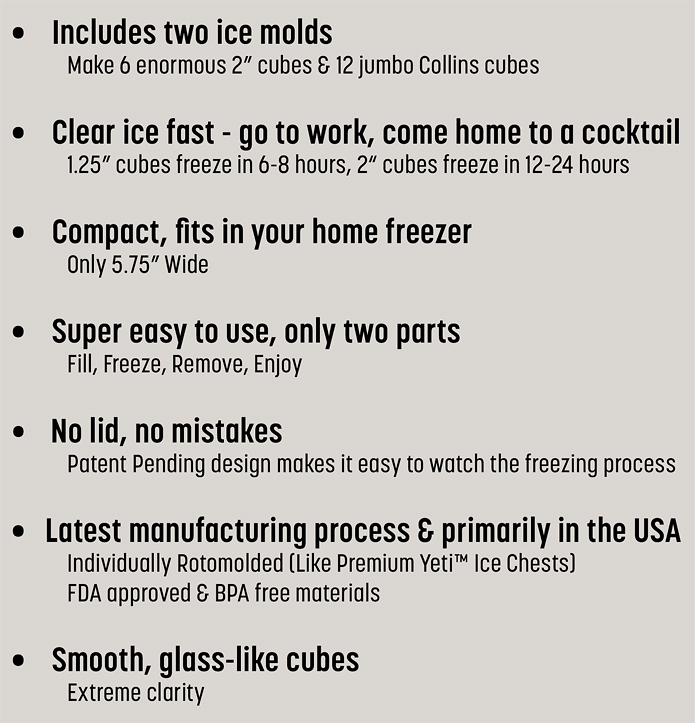 The fast, easy, compact clear ice maker. Raised on Kickstarter & Indiegogo. Hi, I’m Joe. 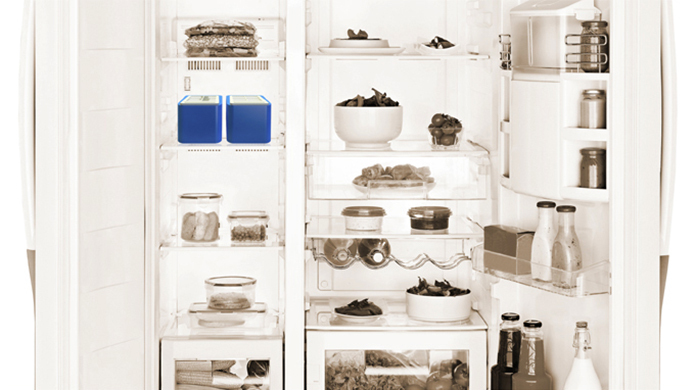 For four years we’ve been designing the best clear ice maker. With Ice.Made.Clear.™ your drinks will have amazing clarity, slower melt, and immaculate taste, It's stunningly simple. We've had so many requests from people who missed out on our crowfunding campaign, that we are now taking advance orders for our next production run. Order now and you won't be charged until your Ice.Made.Clear. set ships. Plus, you will get free shipping. Thank You! We love crystal clear ice, but it's been a hassle to make at home. We wanted something faster, easier, compact, lid-free, expandable, and made primarily in the USA. Something clearly better. Giant 2" Cube. Nearly Invisible. "Holy Grail of ice cubes." – Alan P., Uncompensated Supporter. Ordinary freezer ice is cloudy. Our design makes beautiful crystal clear ice from regular tap water, and it's easy. If you know how to make ice, you already know how to use ICE.MADE.CLEAR. It transforms all of your drinks, and we think you will love it. Clear ice has less dissolved yucky freezer air. 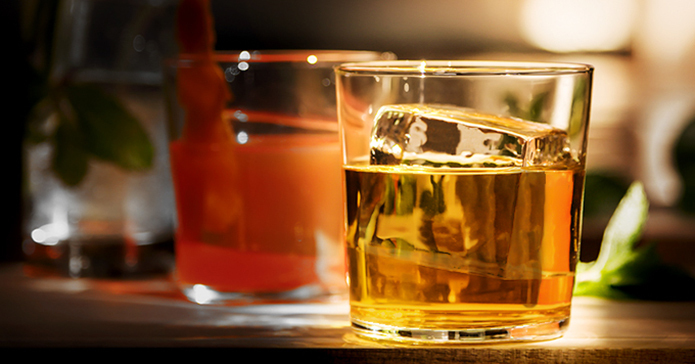 So, clear ice is clean-tasting, allowing the subtleties of high quality spirits to emerge. Clear ice melts slower. The absence of air pockets on the outside creates a smooth exterior with less surface area to encourage melting. Drinks stay cool longer and don't get watery. You - and your friends - will be astonished by the glass-like clarity. Ice from ICE.MADE.CLEAR. is nearly invisible in drinks. 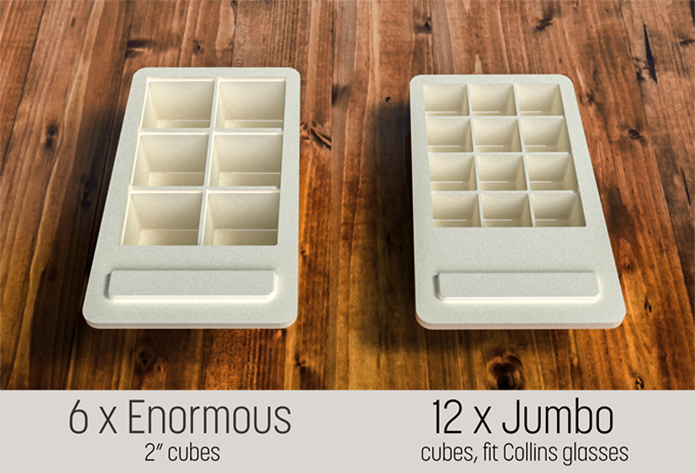 The ICE.MADE.CLEAR set comes complete with the freezing base and two interchangeable trays for making 2” enormous cubes and 1.25” jumbo cubes (for tall glasses). Huge 2" Crystal-Clear Cubes. Perfect for Premium Liquor. The next week I sat down with an ice formation physicist – true story. What I learned started an obsession. Our patent-pending pressure equalization system allows I.M.C.™ to make big ice in a small device. It's fast freezing and easy. It’s deceptively simple, and that's the point. We tried common beliefs, DIY solutions, and exotic electronic concepts. We prototyped for three years on the way to an elegant solution. First we looked at how the big commercial units work, with electronics and ultrasonics – not practical at home. Then we looked to nature's directional freezing process – frozen lakes have clear surface ice. This process is elegant but hard to replicate in a device for the home that isn't bulky and slow. We applied a Design Thinking methodology to make directional freezing more human-friendly. We prototyped for years on the way to a solution. Our lid-free, two-piece, compact unit is made possible by a controlled temperature gradient and by our big innovation – a patent-pending pressure equalization system designed to deal with the 8% expansion water undergoes as it becomes ice. It is a deceptively simple idea that just works. Once we had our concept working with hand-built prototypes, we moved into 3D printing and molding silicone. We spent about six months creating and refining functional prototypes until we had the confidence to offer a polished product. Our plan is to offer mold updates to fit your kit and keep you on the cutting edge of ice! Spheres, Shards, and 3D-Diamonds - What shape would you like to see next? Joseph Myers is a professional filmmaker, entrepreneur, and product designer. He is a partner in storyshop films and has directed many large-scale nationally broadcast documentaries. He is a founding partner of Nittany Mountain Distillery. As a product designer, Myers is the principal of movingimage llc. He works with a team, including two internationally recognized artists and designers, an engineer, and a business manager. Stephanie Ayanian has long experience successfully shepherding $500k-$1m projects from inception, through development & fundraising, production, and distribution. Ayanian is a business management consultant, an educator, a film and television producer, and partner at storyshop films. Tim Berg and Rebekah Myers are artists, designers and educators. As a studio art collaborative they have participated in multiple solo and group exhibitions in the US, Mexico, Sweden, South Korea, Qatar and Kuwait. Their work is included in numerous private and public collections including The Betty Woodman Collection at the University of Colorado and the Biedermann Museum in Germany. Berg is an Associate Professor of Studio Art at Pitzer College. Limited-Time Free Shipping in the U.S.
• BONUS: Handsome set of water-resistant recipe cards to show off your new clear ice! 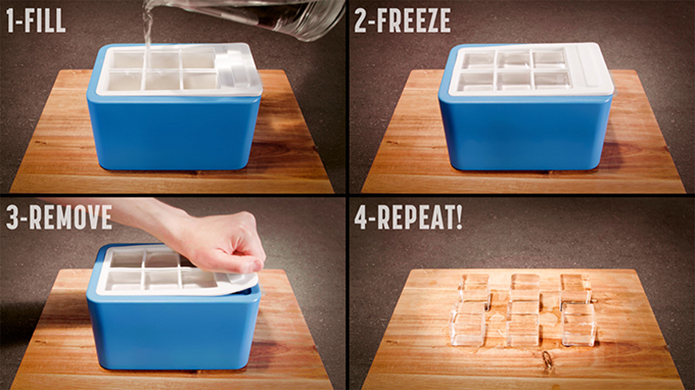 Ice.Made.Clear.™ is the easiest clear ice maker. We think you will love it! No charge until your order ships. • Two Full Sets. One to keep and one to give! Copyright 2019, movingimage llc. 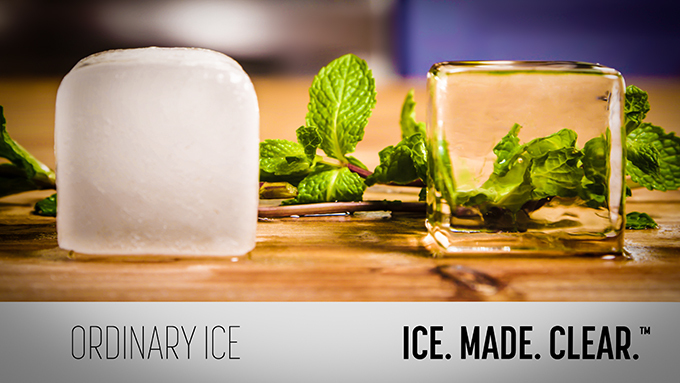 ICE.MADE.CLEAR.™ is patent-pending.